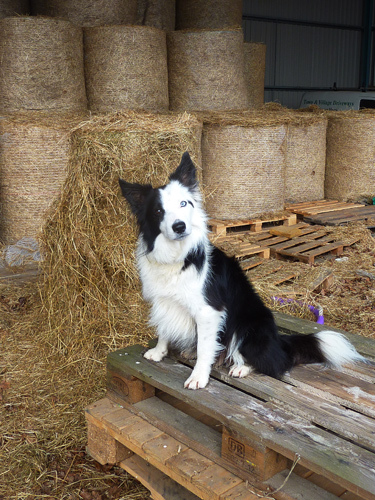 Fetching hay for the horses with Harry, pallettes are always a good platform for a pose. The object of our outing, Goldwell House is where Jon will be working for a few weeks. 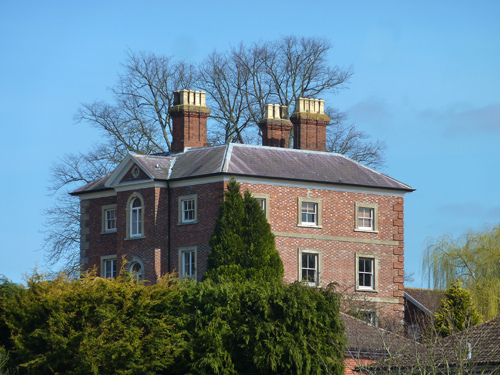 A lovely, graceful Grade II listed house built around 1740. 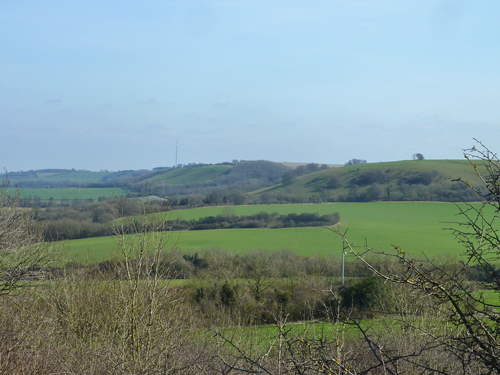 After checking out where Jon needs to be on Monday, we head back down the A34 to a place we’ve seen as we passed many a time but never had time to stop and look at. 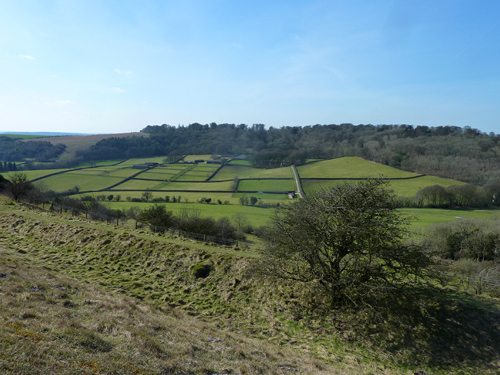 Beacon Hill Iron Age Hillfort, which apart from being a fascinating piece of history, commands wonderful views over the surrounding countryside. 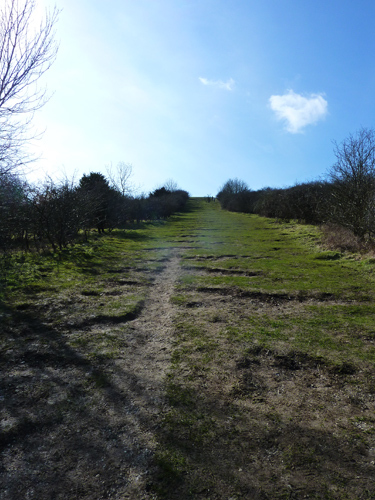 The way up is short and steep, but well worth the effort. The real Watership Down. 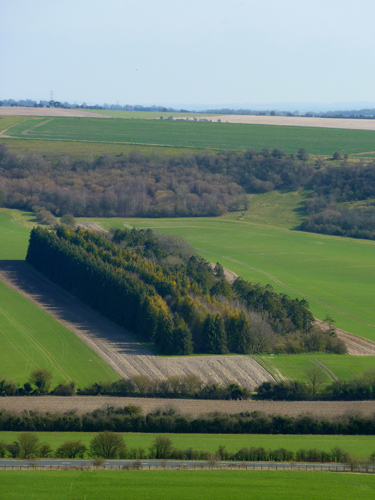 Currently there is a huge movement supported by the books’ author Richard Adams to prevent the development of 2,000 homes in this area. It would be a tragedy to see such an area changed so irrevocably. Let’s hope they are successful. 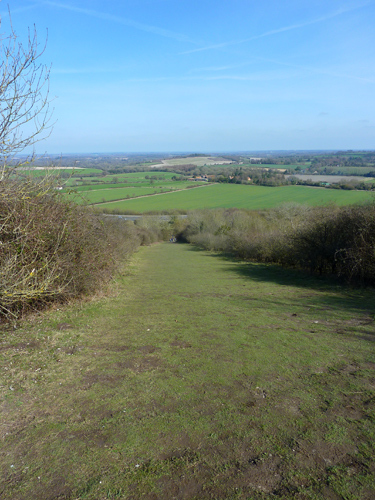 Looking back down the steep side of Beacon Hill. Funny how cameras make things look much less steep than they are! 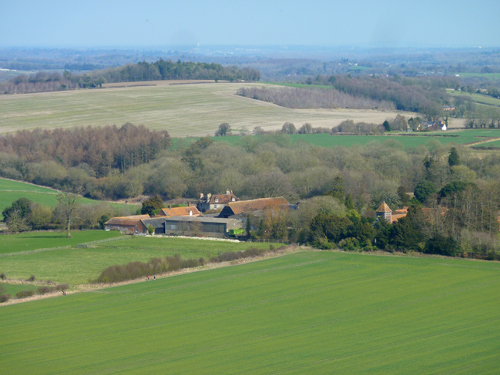 Looking down on Manor Farm at Old Burghclere. 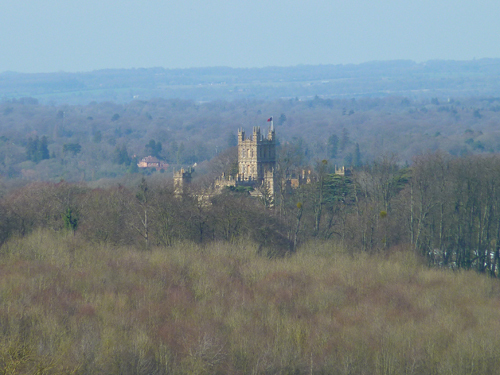 Within the ramparts of the Iron Age Hillfort, we get our first glimpse of Downton Abbey oops, I mean Highclere Castle. The fields below us are that lovely bright spring green. 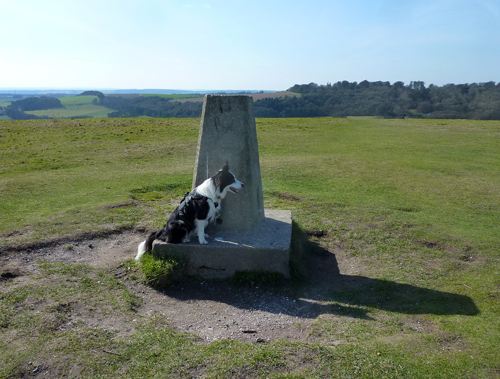 Harry at the trig point. 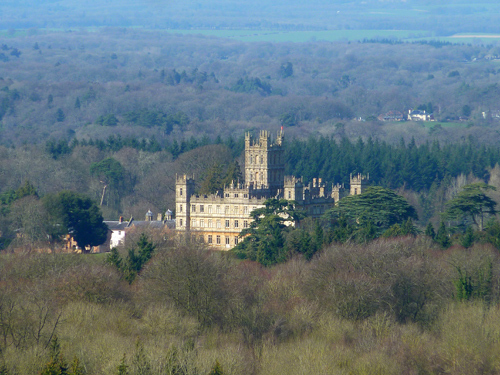 Highclere Castle in all its glory. 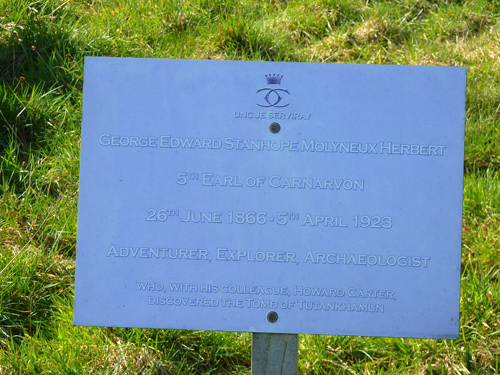 To the west on the slopes of Sidown Hill, Highclere Stud was started by the 5th Earl of Canarvon in 1902, the same chap that financed the excavation of Tutankhamun’s tomb. 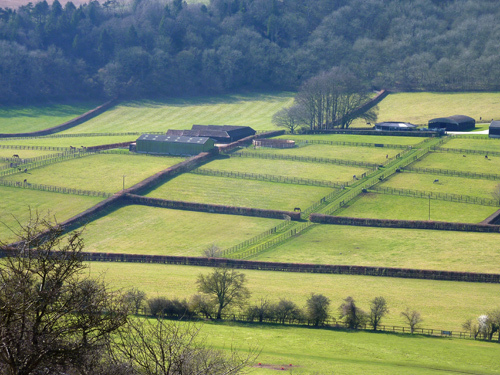 Zooming in on the perfectly kept fields. 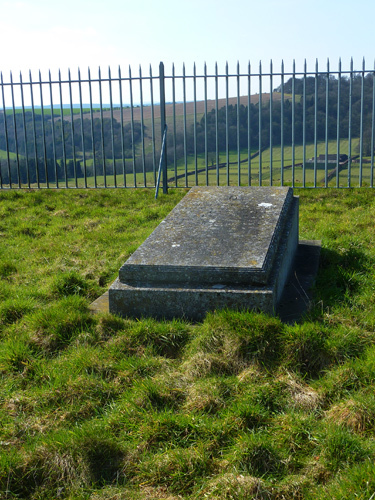 Canarvon’s grave is also within the ramparts of the Hillfort – an archaeologist to the core. That has got to be the straightest edge to a wood that I’ve ever seen.